"He made what he felt to be wild presumptions in handing over his suggestions, but what did it matter? He was a vice president in a giant corporation, a numbers man, suddenly elevated to be the accompanist. He was not himself. He was no one he had ever imagined." As I've become an adult, I've realized how hard it is to make friends outside of school. Groundbreaking stuff, I know. But there's something about being regularly a part of the same group of people all the time that gives you the chance to get to know each other, and get past the initial niceties and get to be friends. There's obviously people that you're never going to bond with, but there are people who you just need to see often enough to start realizing that you enjoy each other's company. And the experiences you share give you something to naturally bond over. 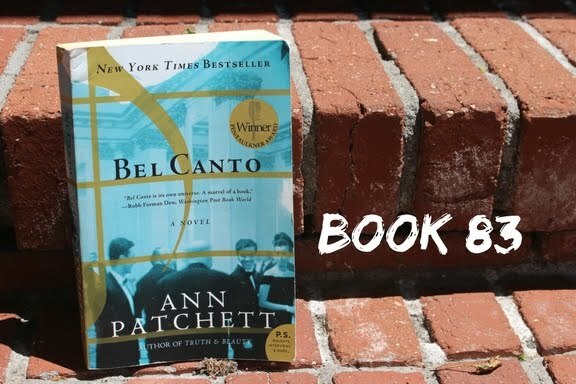 The unexpected bonds that can grow between people is at the heart of Ann Patchett's Bel Canto. Katsumi Hokosawa, a Japanese industrialist, is having his 53rd birthday party in an unnamed South American country. The country has invited him to this party, to be held at the Vice President's mansion, in the hopes that he will invest there. He has no intention of doing so and declines...until he finds out that they have secured the performance of Roxane Coss for the party. Hokosawa is an opera devotee, and Coss is the world's foremost soprano. So he and his translator, Gen Watanabe, make the trip. No sooner, though, has Coss finished her performance than all the lights go out. Suddenly, the partygoers find themselves surrounded by young men bearing arms. They've come to abduct the president, and when they find out he's not there, they're not quite sure what to do but take the 200+ guests hostage. The hostages are winnowed down over time to the 39 most important men, including the vice president, ambassadors, businessmen, and of course Hokosawa himself (along with his translator) and Roxane Coss. Days go by, then weeks. Gen the translator finds himself very busy indeed as the guests and the soldiers get to know each other inside the mansion. Relationships of all kinds form: one of ringleaders and Hokosawa become chess partners and teach one of the young soldiers, another soldier with a beautiful voice becomes Roxane's student, romantic entanglements form (it turns out not all those soldiers are boys, after all). Always the question looms: how will this all end? This is the first time I've read Patchett, and she's a gifted writer: her prose is sensitive, deeply felt, lyrical. She has a strong sense of character, and besides the ending, no action the people she creates on the page (and she creates people, complete with their own emotional truth, rather than just "characters") feels false. Even the people she spends less time with feel complete and real. The novel is well-paced and plotted...after the initial high drama of the home invasion, little else happens in terms of events and the action unfolds naturally from the unveiling of personalities and the growing bonds between the people at hand. What keeps this as a very good book rather than great one, for me, is the very end. The action that two people take is...jarring. Trying to contextualize it in terms of what those two have gone through, you can understand that a rash decision might be made, but it still feels off. And it bugged me a lot, because I'd so loved everything that came before and to close on that sour note didn't feel right. It's 98% of a great book, but it could have been 100% of one and that is frustrating. 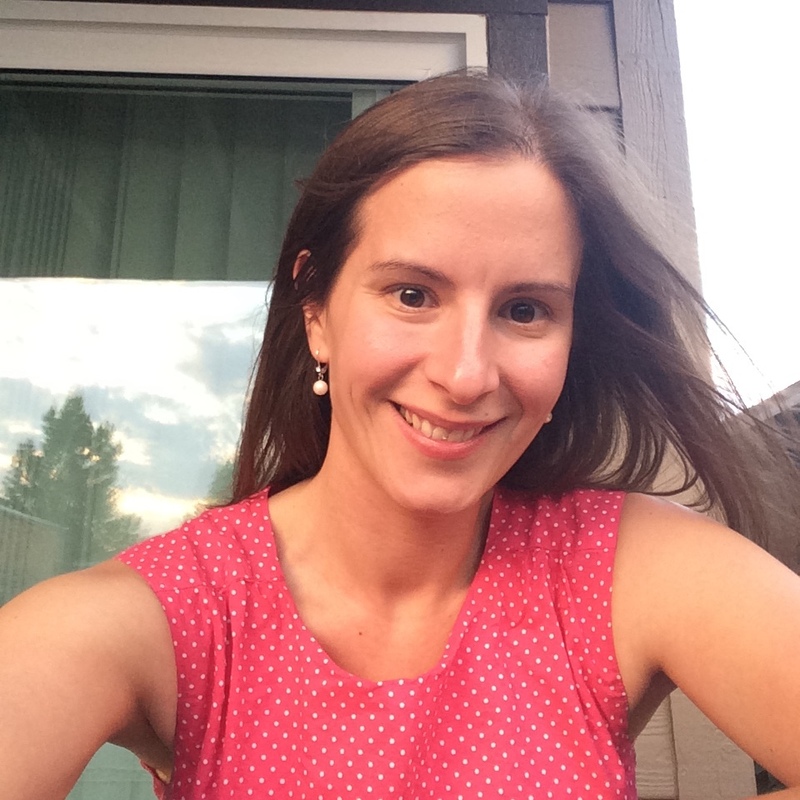 Tell me, blog friends...does a wonky ending ruin a book for you?